First time coming to Canada? Here is a collection of handy facts and useful information to help you plan your holiday. The Government of Canada has introduced a new entry requirement, known as an Electronic Travel Authorization (eTA). Effective March 15, all visa-exempt foreign nationals must obtain an eTA before boarding a flight to Canada. Persons visiting from countries other than the United States should carry their passport and may require a visitor visa or Electronic Travel Authorization (eTA) to enter Canada. Other regulations apply if an extended stay, work or certain types of business activity are contemplated. Check with your nearest Canadian Consulate for current requirements well in advance of travel. The Western Hemisphere Travel Initiative (WHTI) is US legislation that requires all travellers carry a valid passport or other appropriate secure document, or combination of documents that establish citizenship and identity when travelling to the United States from within the Western Hemisphere. Since January 23, 2007, anyone travelling by air between the United States and Canada is required to present a valid passport or NEXUS card (when used at designated airports) to enter or re-enter the United States. As of June 1, 2009, US and Canadian citizens under the age of 16, or under the age of 19 if travelling with a school, religious, or other youth group, may present a birth certificate, Consular Report of Birth Abroad, Canadian Citizenship Card or a naturalization certificate. Birth certificates can be an original, photocopy, or certified copy. NEXUS is a joint program between the Canada Border Services Agency (CBSA) and US Customs and Border Protection (CBP) that expedites the border clearance process for low-risk, pre-approved travellers into Canada and the United States. To become a member in the NEXUS program, you must submit an application and go through a registration process, satisfy the eligibility criteria, be admissible in Canada and the United States, and pass risk assessments by both countries. If you are approved to participate in NEXUS, you will receive a membership identification card to use when entering Canada or the United States at all participating NEXUS air, land and marine ports of entry. People intending to visit Canada who are inadmissible due to past criminal activity can apply to Citizenship and Immigration Canada's Rehabilitation Program to obtain temporary or permanent admission to Canada. Parents who share custody of their children should carry copies of the legal custody documents. It is also recommended that they have a letter of authorization from the other custodial parent to take the child on a trip out of the country. Such a letter will confirm that the child is not being abducted or taken against his/her will. The parents’ full name, address and telephone number should be included in the letter of authorization. When travelling with a group of vehicles, parents or guardians should arrive at the border in the same vehicle as the children. Adults who are not parents or guardians should have written permission from the parents or guardians to supervise the children. The permission letter should include addresses and telephone numbers where the parents or guardian can be reached. CBSA officers watch for missing children, and may ask detailed questions about the children who are travelling with you. In case of a serious medical or other emergency: CALL 911 FOR ASSISTANCE. For assistance with vehicle break-downs across the province. Bills come in $5, $10, $20, $50, $100 and are multi-coloured. Canada does not have 1 or 2 dollar bills. Credit Card use is widespread. Visa, MasterCard, American Express and JCB International are accepted in nearly all shops, restaurants and hotels. Check with the vendor if you are unsure. 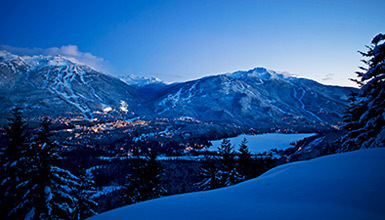 The American dollar is widely accepted throughout Whistler Resort. If you need to exchange money, Whistler's banks can assist. Most banks have automatic teller machines (ATM) which are accessible 24 hours a day. ATMs accept Cirrus, Plus and Interac. * Please check opening hours with the individual business. Taking out a travel insurance policy to cover medical, theft, or loss for yourself and family is always a good idea. Canada is safe and tourist-friendly but you should always be prepared. 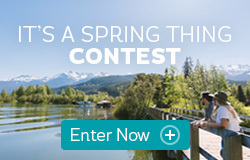 Whistler.com Official Central Reservations offers travel insurance to cover all your vacation needs including trip cancellation, baggage loss/delays, medical expenses and emergency medical transportation. Our travel insurance is offered and underwritten by Travel Guard, one of the leading travel insurance companies in the world covering six million travelers annually. Protect your vacation investment by purchasing travel insurance online or by calling 1.800.944.7853 to speak with one of our friendly travel consultants. All charter services operating in British Columbia are insured and receptive tour operators are registered with the British Columbia Registry of Travel Companies. If you are renting a car, rental companies always provide you with details on car insurance during your travels. Having car insurance while traveling in Canada certainly makes things much easier if you have been involved in a car accident. The British Columbia Automobile Association (BCAA) sells Visitor to Canada Insurance after arrival in British Columbia. The British Columbia Automobile Association is affiliated with the American Automobile Association and provides information and roadside assistance. 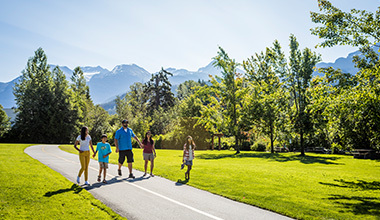 Goods and Services purchased in British Columbia are currently subject to the 8% PST (Provincial Sales Tax) and 5% GST (Goods and Services Tax). The majority of items such as lift tickets, activities, etc. are subject to one tax (5% GST). Lodging is subject to the 8% PST and 5% GST in addition to the 3% municipal and regional district tax. Tipping is standard practice in British Columbia, Canada. The standard minimum tip is 15 per cent. Tips are generally given to servers, taxi drivers, hairdressers, bartenders, spa therapists, hotel attendants and bellhops. Bring your provincial health card when you visit any medical service. Note if you do not have Canadian medical insurance, you will be required to pay at the time of service. Urgent Care Clinic: The UCC is a diagnostic and treatment centre where any medical illness, emergency or patient can be treated, and if necessary, referred to other hospitals. An emergency physician is available 8:00 AM to 10:00 PM every day and on-call after hours for emergencies. Patients are seen in order of urgency of problem, not time of arrival - so wait times may vary. 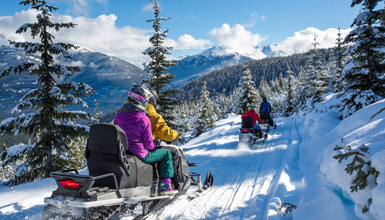 There are a range of other professional health services in Whistler including physiotherapists, massage therapists, chiropractors and acupuncturists. Canada follows the International Metric System. Temperature, rainfall measures, distance, weight and velocity are expressed in metric units. Distance is measured in kilometres (km). Most shops and services are open on public (statutory) holidays in Whistler. In fact, it usually is a time for a festival or event! Hotels operate 24/7, 365 days a year.